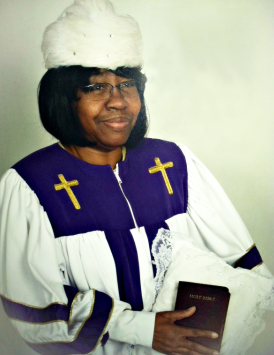 Pastor Mary Evelyn Jenkins, 76, of Ridgeland, SC died Thursday, August 16, 2018 at Beaufort Memorial Hospital in Beaufort, SC. The body will repose from 3-5 pm at Effective Open Door Bibleway Church in Ridgeland, SC. A wake service will be held from 6-8 pm at Allen Funeral Home Complex in Ridgeland, SC on Monday, August 20, 2018. Funeral services will be held 11 am Tuesday, August 21, 2018 at Family Worship Center in Yemassee, SC. Allen Funeral Home of Ridgeland in charge.